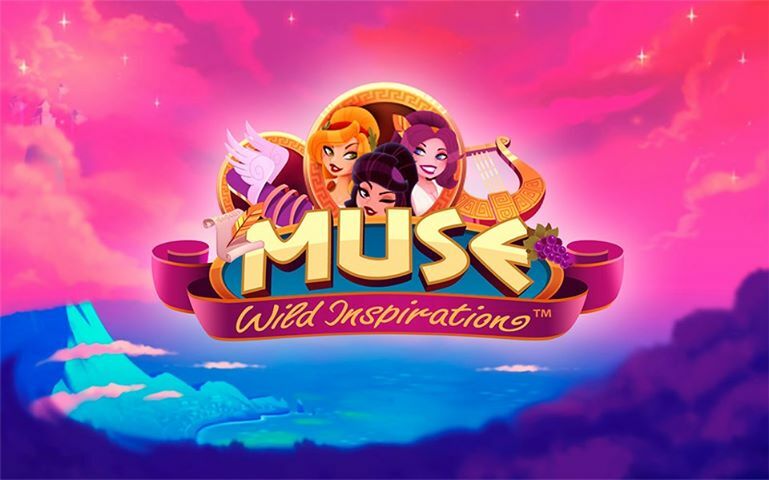 Wild symbols are the main feature on offer on the Muse slot game or to give it is full name the Muse Wild Inspiration slot, and when playing this slot you are always going to have a very fair chance of winning thanks to its high 97.00% fully certified and verified payout percentage. This is of course a fully random slot and as such anything can and will happen when you send its reel spinning however you are going to have to play all of its 25 fixed pay lines per spin! The coin value settings are fully configurable so you can play this slot for low, medium or very high stake amounts depending on the level of risk you want to have in play and you will also have the added advantage of being able to put into play up to 10 coins per line per spin! The wild symbols attached to reels 2, 3 and 4 of the Muse slot game are going to trigger an additional bonus feature whenever they have been spun in via the base game or when you are playing off the free spins bonus game. Those symbols will firstly stand in for all other reel symbols but not the scatter symbols, and when one or more of them have been spun in on the centre reels they will flip over and reveal the additional bonus feature. The wild symbols could then be turned into Wild Multiplier symbols and as such any and all winning combinations that they stand in for will have their payout values all boosted by the value of the multiplier. The wild symbols could instead of becoming multiplier symbols be turned into Expanding Wild symbols so they will grow in size and cover the reel or reels they spun in on with wild symbols. The wild symbols could turn into Sticky Wild symbols and when doing so they can stay locked into position on the reels for consecutive spins, which will come in very handy during the free spins bonus game! That free spins bonus game awards players with 10, 20 and 30 free spins whenever they spin any where into view three, four or all five of the scatter symbols. Another set of three or more scatter symbols spinning in from any free spin played off will also award another set of free spins. In our opinion the way in which the free spins bonus game on the Muse slot game has been designed is such it is a highly volatile free spins feature game. That does mean that you could win a huge amount of cash whenever the bonus game has been triggered and awarded to you. However, the opposite could also happen and you could play off all of your free spins and find the slot has awarded you very little or even nothing at all! When playing highly volatile slots you need to ensure you play them for fairly low stake amounts as you will experience lots of dry spins before one of the high paying winning combinations or bonus games are awarded to you! If you have claimed for example any online casinos deposit match bonus and you have a large amount of credits in your casino account then this may be a good slot to play with your bonus credits, for if you do hit a winnings streak you may be able to reach the play through requirements attached to the bonus and still have a large amount of cash left to cash out as winnings when you do so!